Algae present an exciting opportunity to produce oils that can be used as fuels. The sun coupled to the carbon dioxide in the air, the water in its immediate environment and a bit of nutrition can manufacture certain lipids, the molecules that may then be processed into renewable energy products. Researchers in the Horticultural Sciences Department, led by Dr. Bala Rathinasabapathi, are tailoring this process. Plant Molecular and Cellular Biology graduate student Elton Goncalves examined the question of balancing algal growth versus oil production. By placing the algae under nitrogen stress they changed their physiology to enhance oil production. Understanding and optimizing the conditions that lead to oil production are the first step to discovering the genes networks that mediate the response. These genes may be the secret to development of new algal strains with enhanced oil-production capacity. 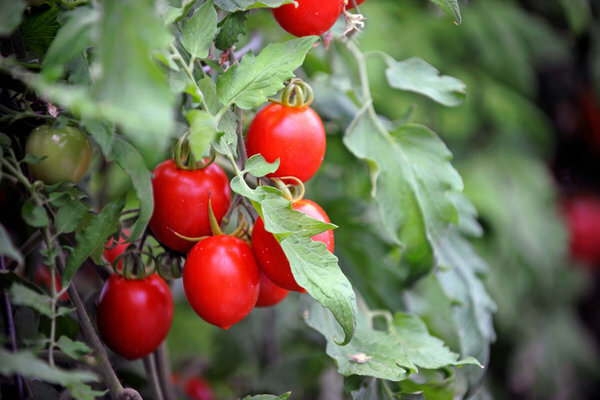 Researchers in the UF Horticultural Sciences Department have developed a new hybrid tomato. Dr. Harry Klee and colleagues have introduced a new hybrid that offers superior flavors and good horticultural qualities. The story appears in today’s New York Times and represents the first step of bringing better higher-flavor tomatoes to consumers.